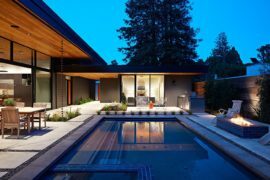 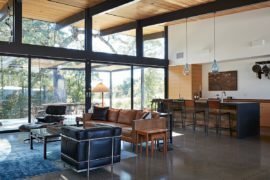 The revolution of Eichler homes in the 50s and 60s not only influenced the world of home architecture and design substantially, it had a huge role in shaping and defining Midcentury modern style as we know it today. 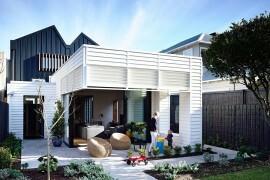 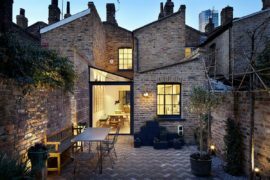 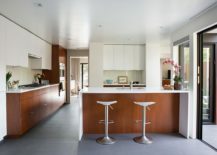 But as years have rolled on, many of these homes have lost their distinct style and uniqueness because of substantial and poorly planned renovations and additions that completely altered the original structure. 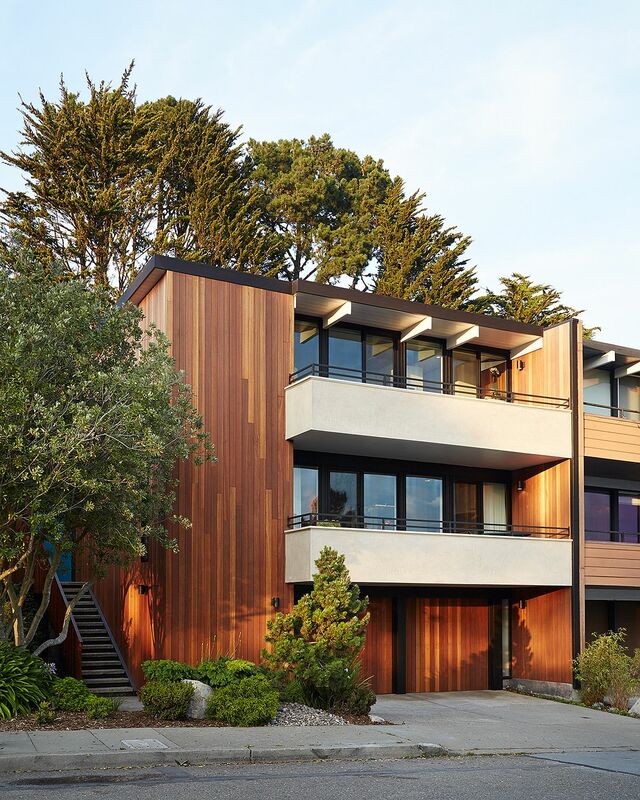 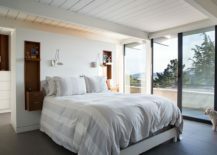 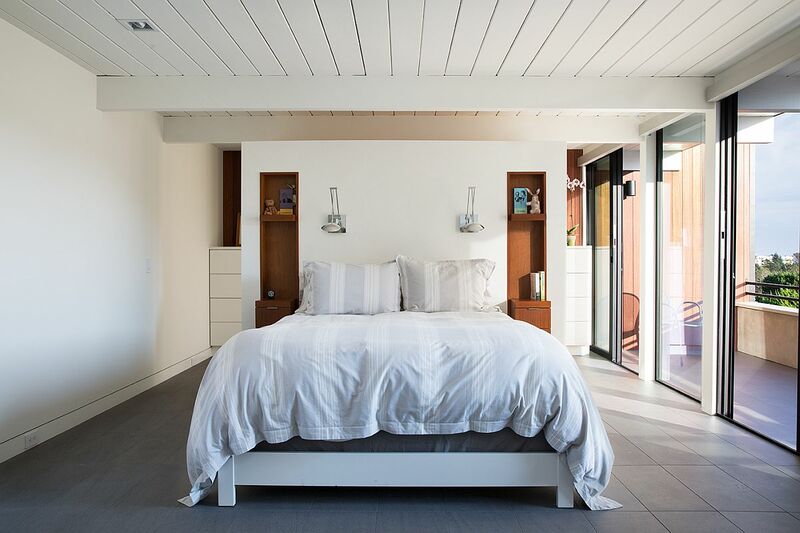 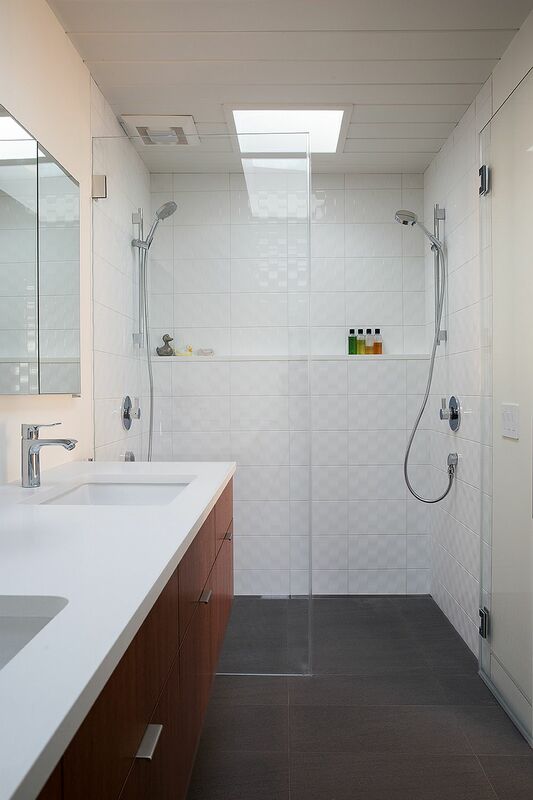 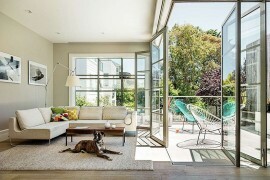 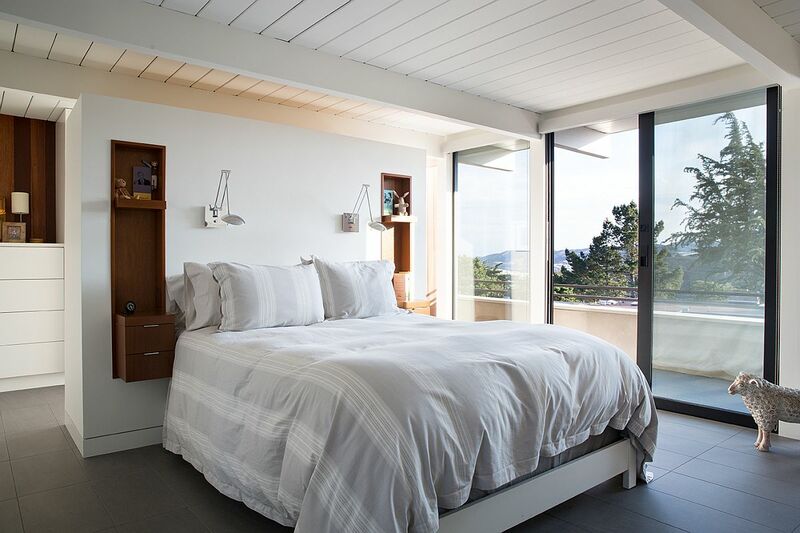 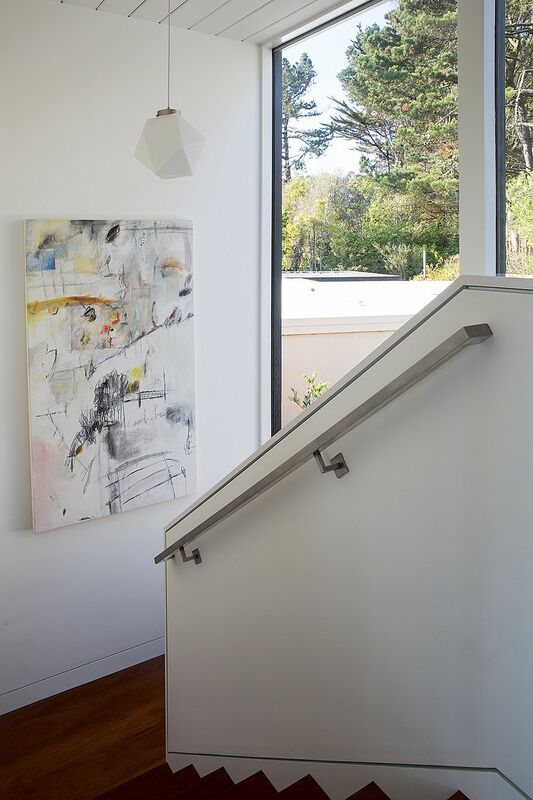 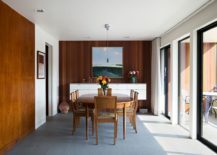 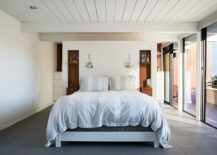 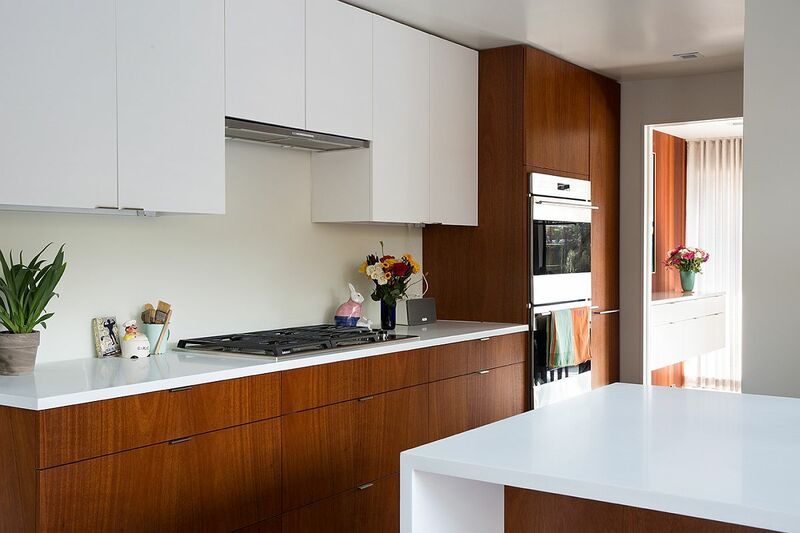 This San Francisco Eichler Remodel carried out by Klopf Architecture is another wonderful example of homeowners and architects coming together to restore these masterpieces to their original beauty, even while infusing contemporary charm. 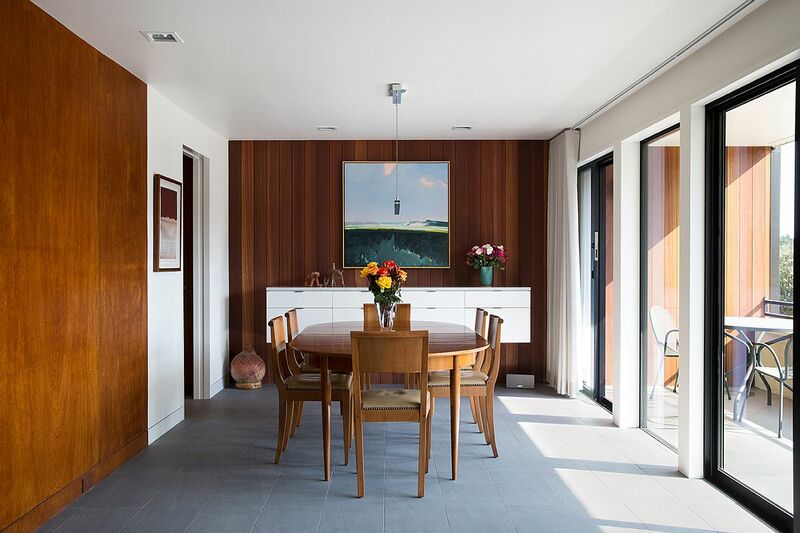 Built in 1962, the house was too crowded visually, unengaging and uninspiring for its new owners, who turned to Klopf Architecture for help. 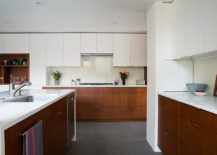 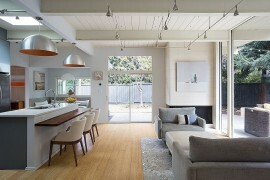 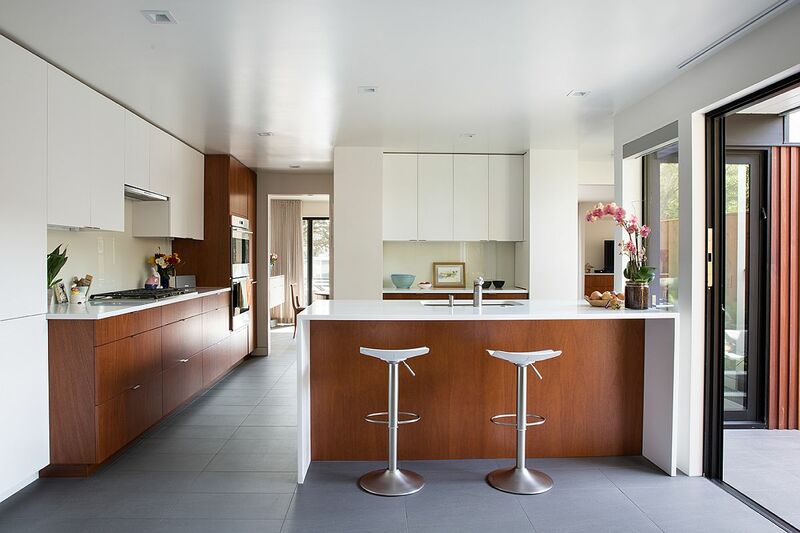 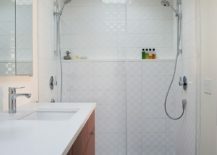 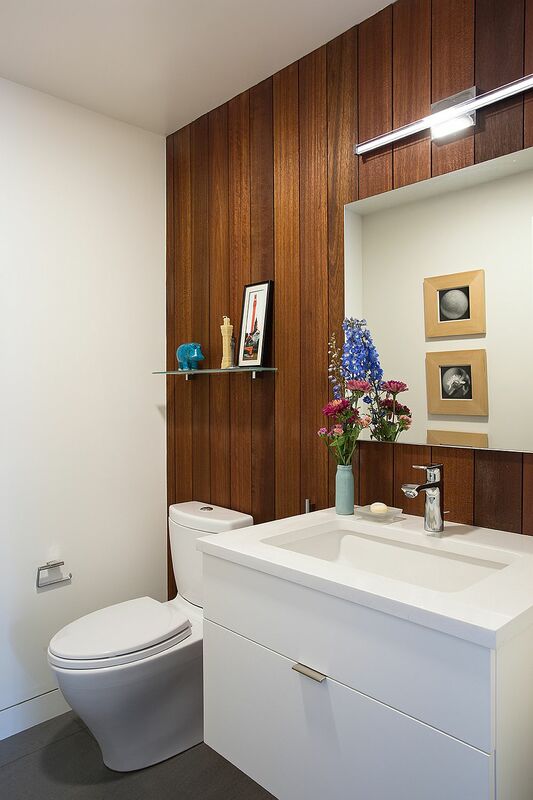 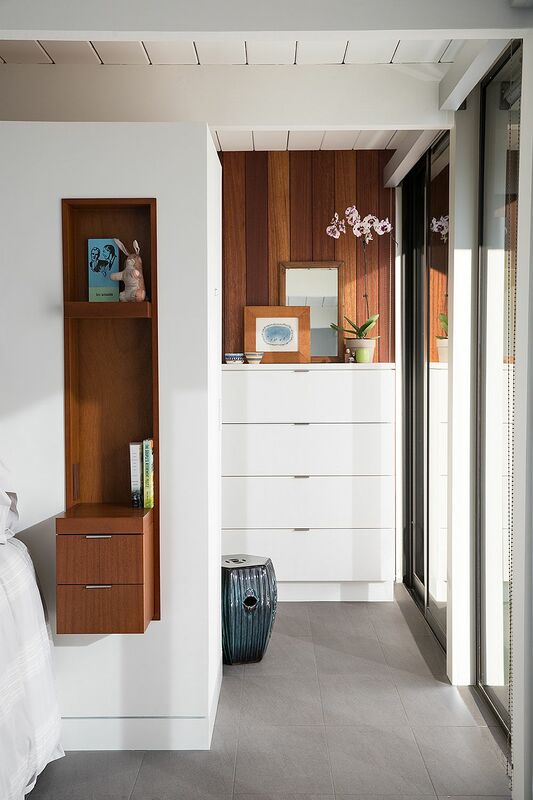 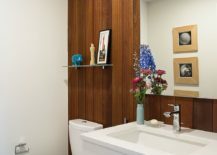 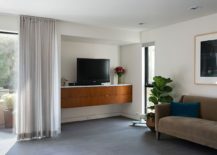 The idea behind the complete makeover was to give the home a new, contemporary and cheerful ambiance while retaining as much ‘Eichler flavor’ as possible. 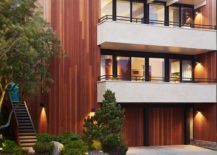 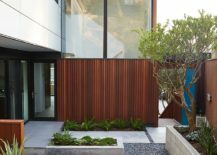 It is vertical Kayu Batu siding and white, plastered balconies that refresh the façade of the house and give it a smart yet distinct new look. 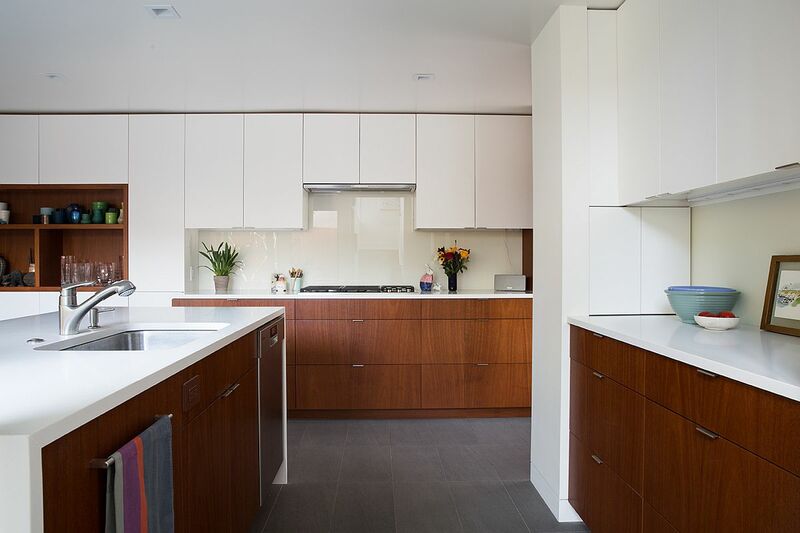 On the inside, a white backdrop coupled with lovely mahogany surfaces ensures that the interior is both minimal and inviting. 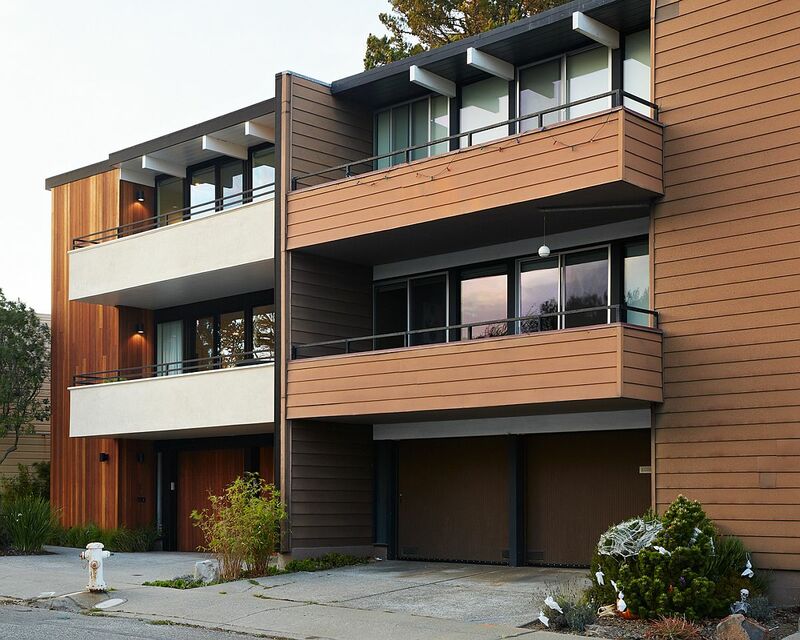 Taking a cue from original architect Claude Oakland’s drawings, Klopf eliminated the wood shingles on the balconies and restored them to a smooth plaster and replaced the added wall shingles on the rest of the house with new vertical Kayu Batu siding. 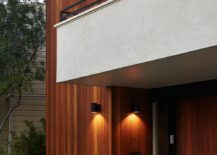 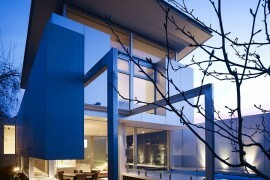 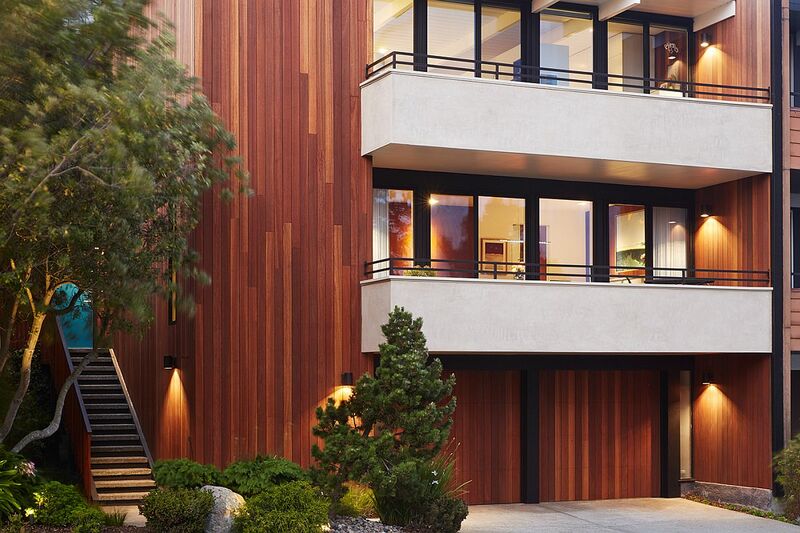 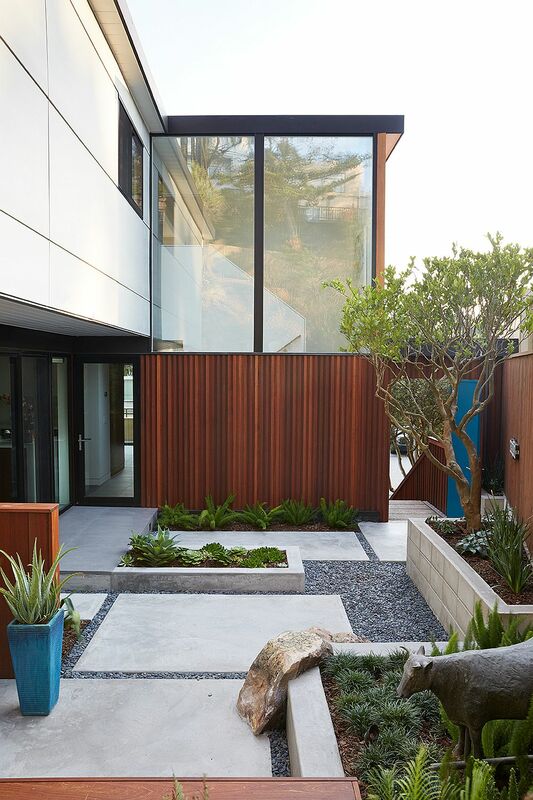 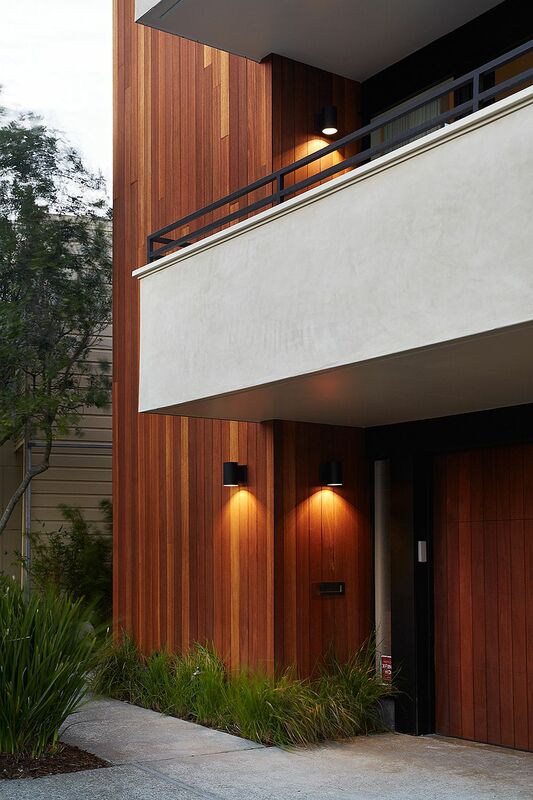 The Kayu Batu harks back to the original “thinline” Eichler siding and restores the “inside-outside” intent.